Your first impression? 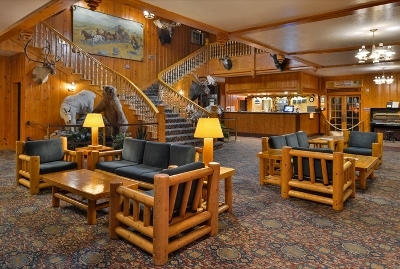 Warmth and welcome in our large beautiful knotty pine lobby with sweeping staircase, generous lodge seating, and inviting stone fireplace. Use it to visit and chat with friends, play a game of cards, check the internet, play the piano if you're inclined, or enjoy cup of coffee or hot chocolate. The friendly staff is ready to greet you with a warm welcome. 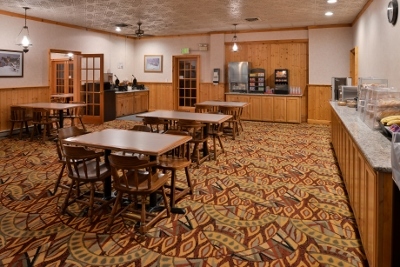 The free and delicious deluxe continental breakfast is served every morning in the cheerful breakfast room, just off the lobby. With fresh aromatic coffee, juices, hot waffles, cereals, bagels, and much more, you won't want to miss it! 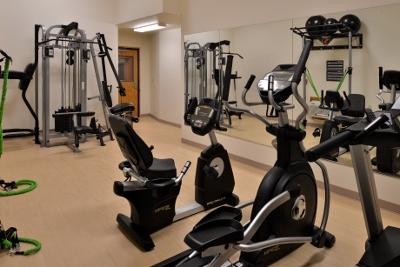 The brand new indoor swimming pool and sauna and workout room are waiting for you. 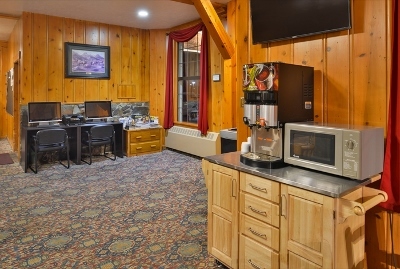 Located just off the lobby, just what you need to feel relaxed and refreshed and ready to explore more of Yellowstone Park. 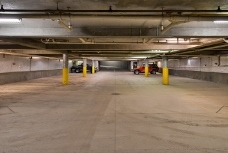 And there's more: A coin-op guest laundry, ice and vending, large outside free parking lot for any size vehicle, enclosed underground parking garage, elevator, an internet station in the lobby so you can easily check your email, and you'll be within a short walking distance to a big selection of nearby restaurants. Copyright 2018 Stage Coach Inn. All Rights Reserved.